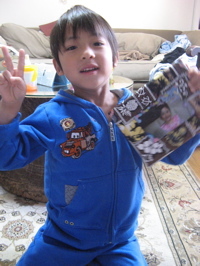 Last week was Owen’s final few days of his first year in Japanese school. 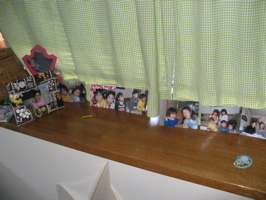 We all felt sad about the year coming to an end (the Japanese school year ends in March and begins in April). 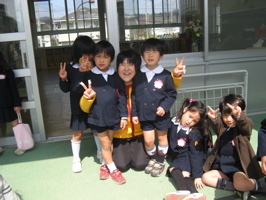 We’ve loved his teacher, Hirose Sensei, so much. She has been a great encourager, and ever-patient as Owen has gone from speaking almost no Japanese to being able to make friends and play in Japanese. 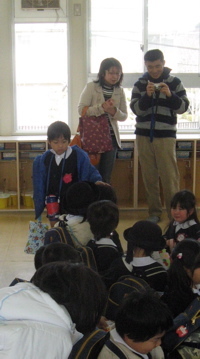 On her last day, the moms all came to the school and we gave her presents. 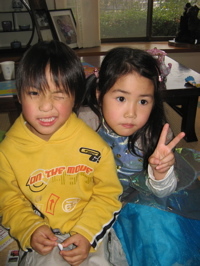 Lots of the little girls in Owen’s class were crying about saying goodbye; Owen went over to one of his good friends Suzuka and started patting her head and comforting her.